Do Dogs & Cats Know When Their Owner Is Dying? While it's never fun to think about our own mortality, it can be even harder to think about how our deaths might affect our pets. 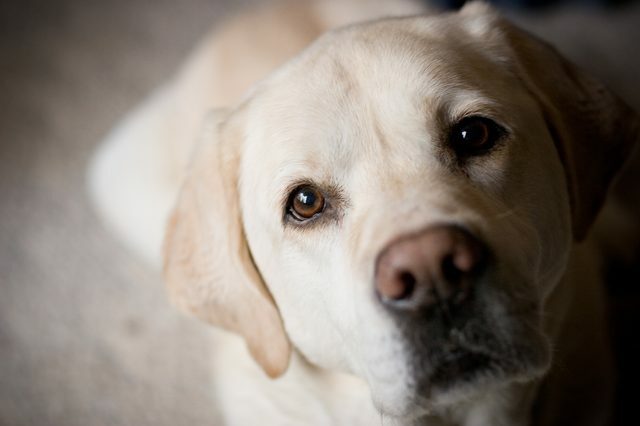 In most cases, humans live longer than their pets, but this isn't always what happens. What will our pets do when we pass on? What do they think of it? And most importantly, can they sense it? 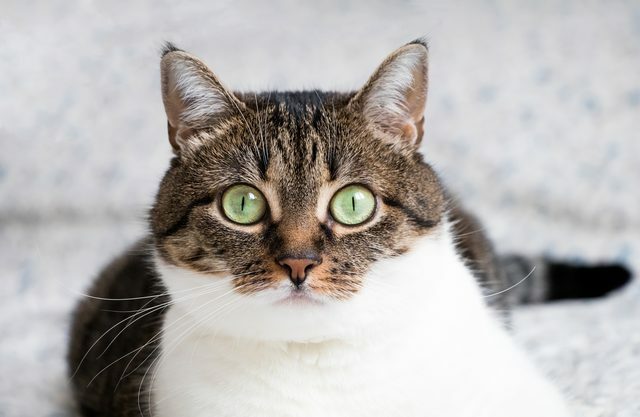 Our pets seem to have a unique sensitivity that makes us think they see things we don't. When we let ourselves believe that there might be something supernatural in the world, it's often because our pets seem to be detecting something that we can't understand. 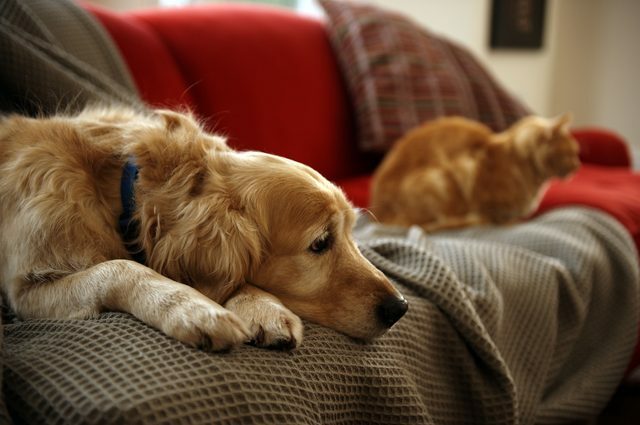 We already know that pets can sense certain diseases, so can they do more? Can our pets actually sense when their humans are going to die? On a biological level, pets understand the difference between a living person and a dead one. According to Holly Willetts, a dog trainer and rehabilitation specialist, dogs can definitely smell and understand the difference between a living person and a dead one. She explained, "A dog would absolutely be able to recognize the death of a person at home. As the body begins to shut down your biochemistry will change and your core body temperature will lower. You will smell different. This can distress a dog and they can become even more distressed when the owner doesn't acknowledge their requests for response." And in the same way, cats' senses can understand the changes in smell that might happen as a human's body changes and possibly dies. And at least on a base level, our pets understand what death is. They probably don't have the same spirituality around death, but that we may never know for sure. However, when people talk about their pets sensing death, smelling a body begin the death process isn't always what they mean. Some people are looking for answers to question that is a little more supernatural. Many pet lovers have stories about their pets having something of a sixth sense for their human's impending death. However, there isn't much evidence of that beyond anecdotes. Our pets definitely feel a very strong emotional connection to us, though. So what some people might be interpreting as supernatural abilities to predict death may actually be their heightened connection with us. A recent study tested whether dogs would respond to a human crying versus a human sitting near a humming noise. The study suggested that dogs do in fact respond to human emotions, because the dogs were drawn more by crying than the curious noise. Cats, too, are such careful observers of our lives that when we change up our routine, say because we're sad or ill, they'll notice. Cats also understand our nonverbal communication extremely well, so when we're struggling, they notice. Whether or not our pets can predict that we're going to die, our pets know when we're gone. Even though many people assume that cats are aloof and don't care when their humans are gone, most experts disagree. Cats react in different ways, but many exhibit some kind of grief and mourning. After their human dies, cats may withdraw into themselves. They may spend a lot of time in a special place. Cats also might avoid food or have accidents because they feel stressed after the loss of their person. Experts recommend making sure to spend time with cats after a loss and give them extra attention. They also emphasize keeping them on their routine as much as possible. Because dogs are such social animals, the loss of an important human in their life affects them deeply as well. Dogs may come off as listless or disinterested in things that they once loved. They may also spend a lot of time waiting for their humans to come back. Dogs can even suffer from depression, and consulting with a vet may be necessary if a dog refuses to eat. We may not be able to call our bond with our pets supernatural, but that doesn't make it any less special. Whether they'll see it coming or not, we should feel ALL the warm fuzzies knowing that our pets will miss us when we pass, just as we would miss them.